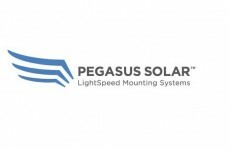 RBI Solar’s next generation ground-mount solution will be available for viewing and demonstrations at SPI 2016 (booth 811). 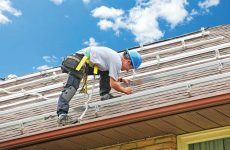 This utility-scale mounting system is specifically designed to make solar installation more affordable and includes a wide selection of component parts that bear loads while using less steel. Executives, technical specialists, engineers and sales representatives from RBI Solar will be on hand to answer questions about any of their solar mounting solutions, including ground mounts, roof mounts, carports and landfill solutions. 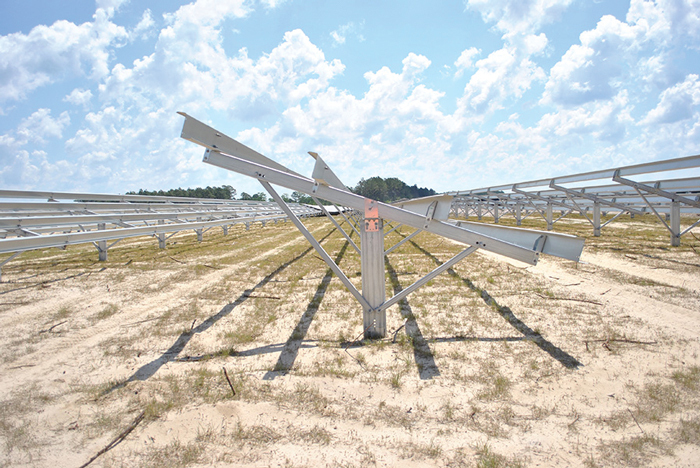 TF2 is the next generation fixed-tilt ground-mount racking solution brought to you by the turnkey solar ground mount company, TerraSmart (booth 2145). The new TF2 racking system is based on the company’s widely deployed and versatile TerraSmart ground screw foundation. Leveraging the benefits of the proprietary ground screw foundation to work with any soil condition, TerraSmart focused on the installation process to ensure TF2 offered large efficiencies for in-field teams. All of these benefits create a 30 percent reduction of installation man-hours, saving time on every project. More on TerraSmart here. 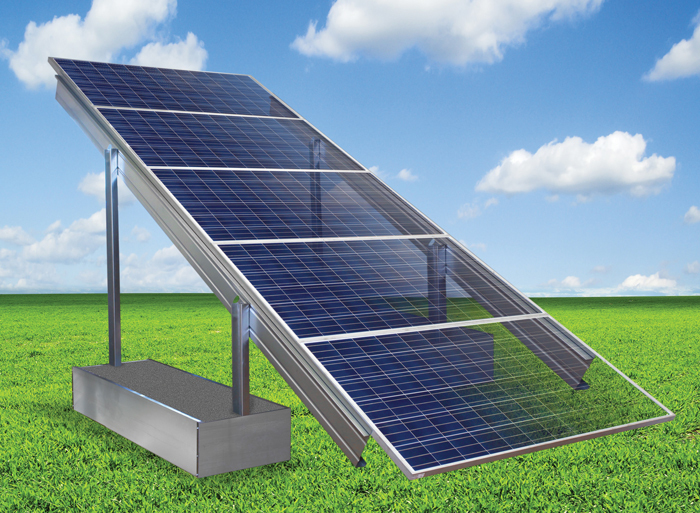 Powers Solar Frames (booth 2545) is producing its second generation Ballast Ground Mount system, which incorporates a 24-in.-wide ballast box that can be ordered in lengths from 6 to 12 ft, depending on wind, snow and other parameters. 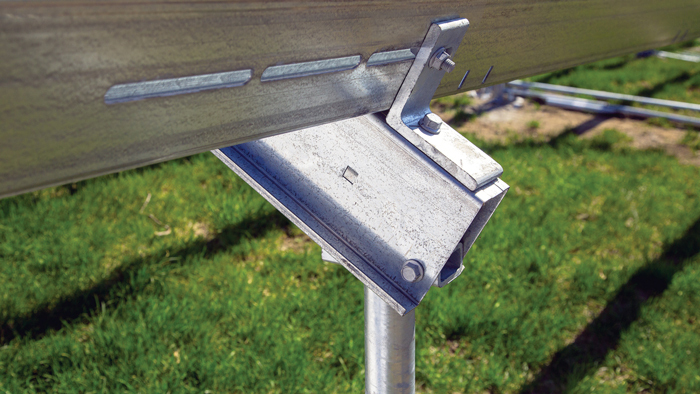 As with Powers Solar Frames’ other products, the Ballast Ground Mount incorporates the patented Super Purlin, which reduces conventional purlin usage by as much as 42 percent, speeds installation and reduces labor costs. 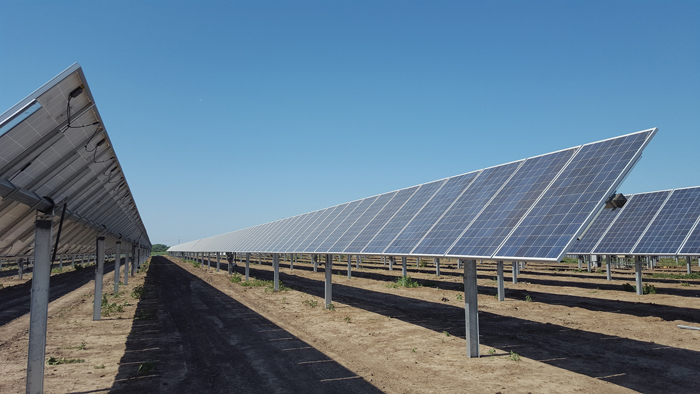 Solar FlexRack (booth 923) is one of those companies with a new tracker solution — its TDP Turnkey Tracker — along with its flagship Series G3-X fixed-tilt ground-mount with self-squaring design for efficient module population. Its renowned field services team will be on hand to discuss the company’s full suite of turnkey services that include: geotechnical services, layout, design, engineering, installation, commissioning and support. Also on display will be the Series B Cast-in-Place ground-mount. 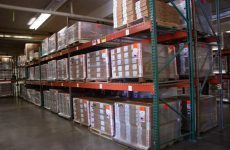 This ballasted racking solution is custom designed for durability and ease of installation. Find the rest of our SPI previews/coverage here.